Nearly four years ago, I visited Park Hill Junior School at the invitation of Sally Greenaway, who was the first teacher I ever heard from who was reading Phoenix with a class. 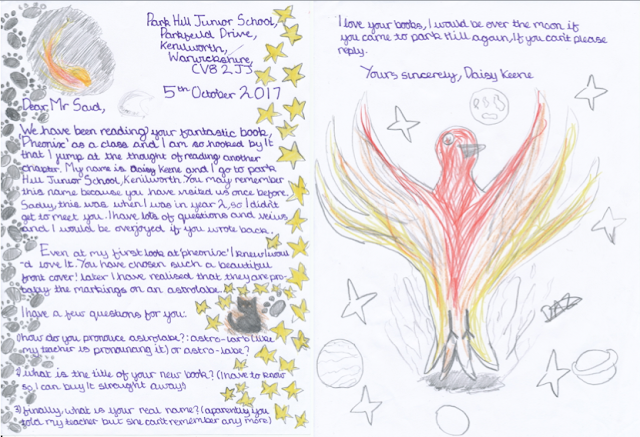 Last month, I had the absolute pleasure of returning to Park Hill and visiting them again, and I'd like to say a very big THANK YOU for the wonderful welcome they gave me! 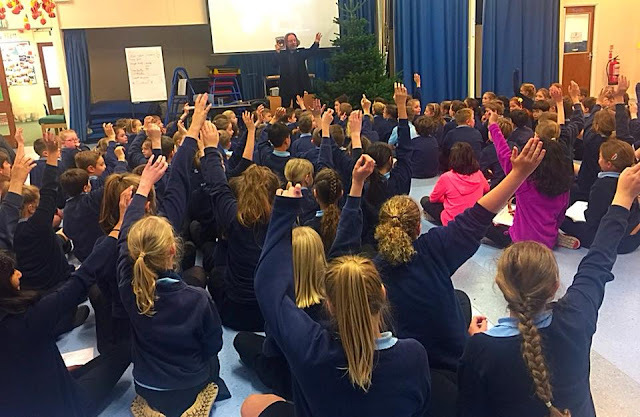 So it was a total pleasure for me to talk to Years 6, 5, 4 and 3 about writing and books, and I was thrilled to see so much enthusiasm for stories, and to hear so many inspiring dreams. 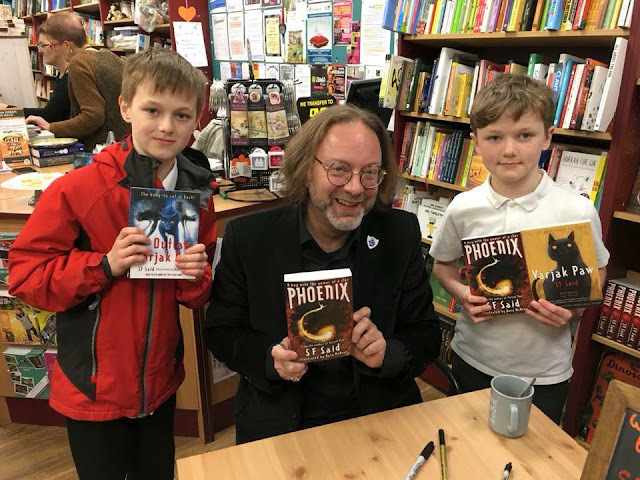 There were lots of excellent questions – more than we had time to answer, so if anyone at Park Hill would like to ask another question, or to say anything about the visit or my books, just leave me a comment below! The brilliant Tamsin Rosewell of Kenilworth Books did the bookselling at the school, and then invited me to do a signing in the bookshop, which is one of my very favourite bookshops. 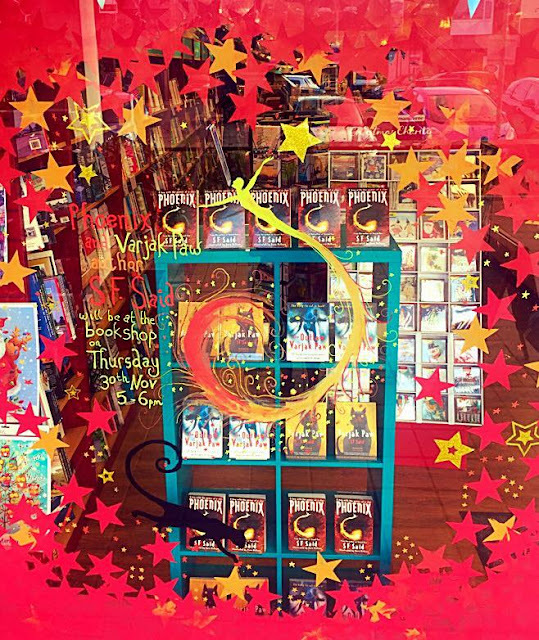 She had made the extraordinary window display that you can see above, with some of the most beautiful artwork I have ever seen! 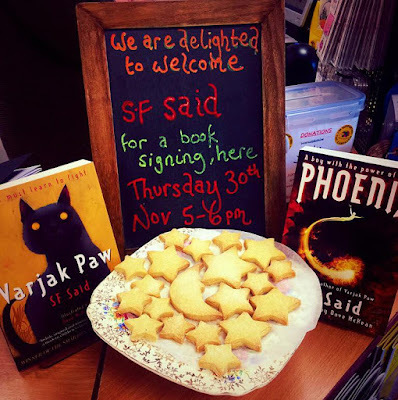 There were also star-shaped biscuits in honour of Phoenix, and they were delicious! 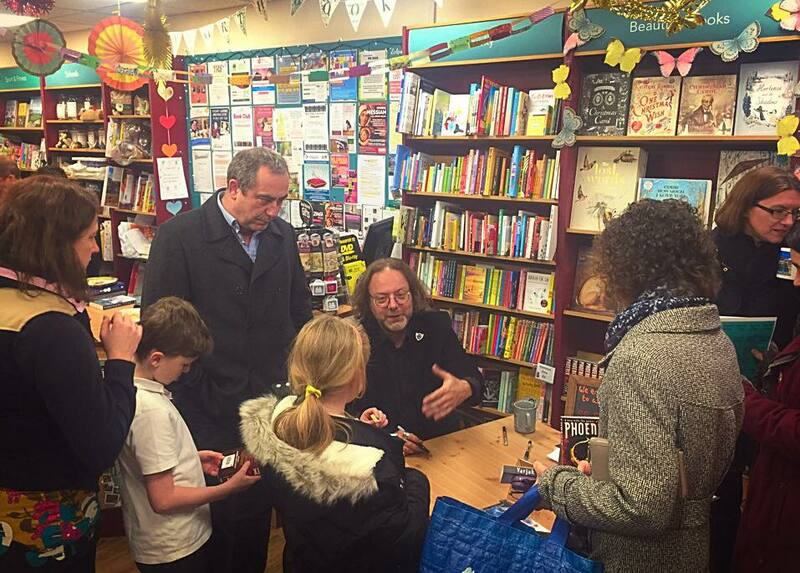 It was a pleasure to meet and chat with some more of Kenilworth's young readers, and to sign books for all who wanted them! 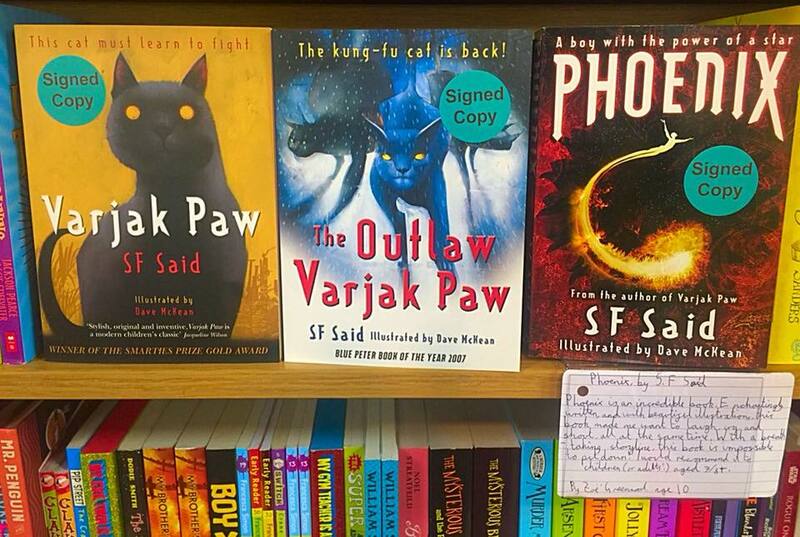 If there's anyone out there who would like a signed copy of one of my books, but didn't get to the signing – they still have lots in stock at Kenilworth Books, and you can order them directly from the shop! And I'd just like to say another big THANK YOU again to everyone who made this such a memorable and magical day!